If you would like to explore becoming a member of the Erraid Community, please complete this online form. If you prefer to write a letter, please include all the topics covered on the form. We will consider your expression of interest carefully. This may take a little time. The procedure for becoming a member is to visit for two weeks as a Love in Action guest to get a feel for Erraid. (Cost: £500-£250 by attunement.) During this time, you will participate in the life of the community (work, meals, meditations, sharings) and you will have chats with current members about the joys, challenges and responsibilities of life on Erraid. Altogether, it can take 22 weeks from your first visit to becoming a full member. This allows both you and the current members plenty of time to discover whether your Erraid membership would serve the highest good of all. Money: Please be aware that during your Love in Action, Long-Term Guest and Trial Member weeks, you will be paying the fees of these programmes. When you become a member, you will receive accommodation, board and a small allowance. Living costs here are minimal (a benefit of Erraid’s remoteness). You will not be responsible for Council Tax. 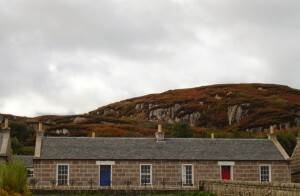 Accommodation is in one of seven stone cottages. Unless you are a family of four or more, you will share your accommodation with short-term guests. Welcoming guests to all aspects of community life, including your home, is an important part of Erraid membership. Guests frequently bring a breath of the outside world, perspective, and reminders of why we choose life on Erraid. It is a real pleasure to share the wonders of Erraid with others. The accommodation is rustic but comfortable. Heating and hot water are provided by wood stoves. Each cottage has a sitting room, small kitchenette, three bedrooms, and a bath or shower. Sanitation is provided by outdoor compost toilets. In 2017 the owners have installed indoor toilets. However we ask residents and guests to keep using the outdoor compost toilets in busy guest weeks. Food: our diet is predominantly vegetarian. We use the vegetables we grow and buy, grains and pulses. Occasionally we eat meat and fish, sourced as locally and organically as possible. 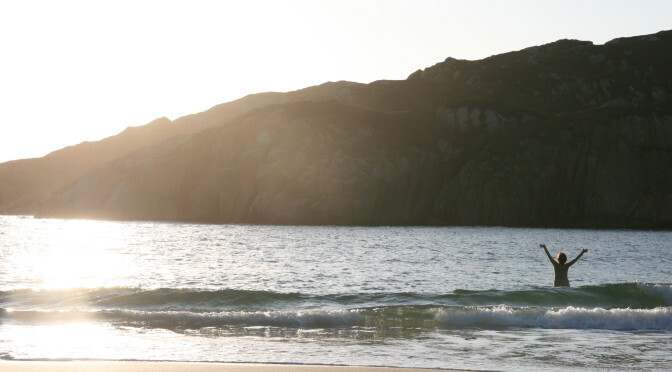 Life on Erraid follows several rhythms. These have been in place for many years. Periodically the community changes the rhythms. Often we return to the old way, only because … it works. The daily rhythms are described on the Love in Action page. For members and guests alike, Wednesdays are structure-free days. This means there is no structured Love in Action, no prepared lunch and no prepared dinner. Of course, animals still need to be cared for and the boat needs to be driven, etc. Members and guests eat meals off-island or prepare them individually from leftovers or raw ingredients. The intention of structure-free Wednesdays is to create space for rest or personal pursuits. Saturday morning is time to say goodbye to any guests who are leaving and to do the ‘community clean.’ This is the time we clean the common areas of kitchen, dining room, meeting room, sanctuary, storage room. Saturday afternoon is time to welcome new guests and to do Love in Action. Sundays include no structured Love in Action, but members hold the beginning-of-week meditation, prepare a coffee break and hold a music session. Members work at least 5 days/week and are encouraged to take 6 weeks holiday each year. Each summer the Dutch owners return to the island for their summer holidays (one month mid July – mid August). We all then need to pack up our personal possessions and move out of the houses so the owners can move into the houses for their summer holiday. We arrange taking in turns staying on the island caring for the animals, gardens and other daily needs and going away as there is limited accommodation for members. March to November is the high season when most guests visit. Late December to March is a quieter time. Because we are at 56° latitude, summer feels very different to winter. It barely gets dark at midsummer, whereas at midwinter, the nights are very long and even when the sun shines, it shines from a low angle, creating a stunningly beautiful but not very bright light. When considering membership, please consider whether you can physically and temperamentally cope with this. If you would like to explore becoming a member of the Erraid Community, please complete this online form.